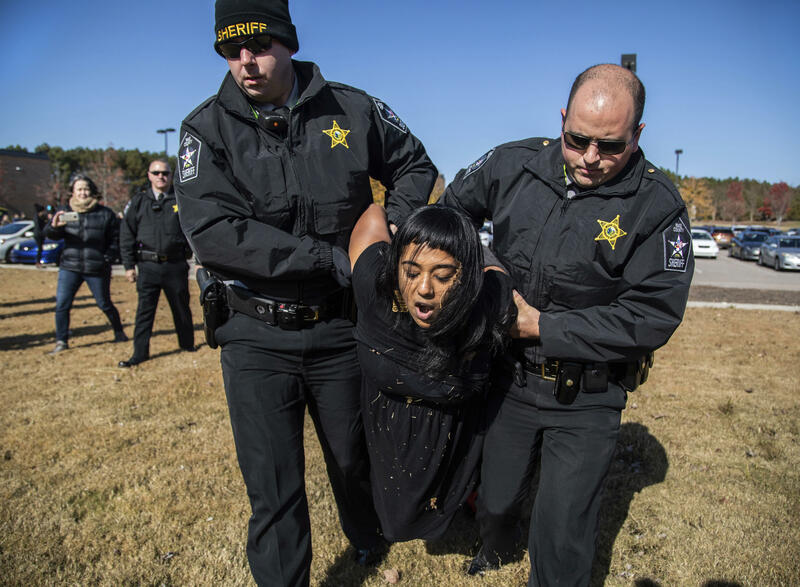 RALEIGH, N.C. -- An immigrant who sought refuge from deportation in a North Carolina church for 11 months was detained Friday at a scheduled appointment with immigration officials, prompting more than a dozen supporters to block a law enforcement van and wind up under arrest themselves. Mexican national Samuel Oliver-Bruno, 47, was detained at a Raleigh-area immigration office, according to a U.S. Immigration and Customs enforcement news release. The advocacy group Alerta Migratoria NC said in a statement that Oliver-Bruno went to have fingerprints taken so he could apply to stay in North Carolina with his wife and son. He has been living in CityWell United Methodist Church in Durham since late 2017 to avoid the reach of immigration officers, who generally avoid making arrests at churches and other sensitive locations. CBS affiliate WNCN-TV reports that those arrested included Ernesto Barriguete. "We did nothing else but singing and prayers, and singing and prayers, letting them know that we're in disagreement with what's going on," Barriguete said. WNCN reports that supporters of Oliver-Bruno said they plan to keep fighting for him and his family. "It feels like even more of an injustice like I've been released, and he's actually still in detention," Noah Rubin-Blose said.